Kelsey is very passionate about Aveda and attended the Aveda Institute Dallas before working for Elixir. Having always worked with Aveda, she is very knowledgeable with hair care and skin care products. She strives to make every guest feel at home, whether they are in her chair or in for another service. She loves to pamper by offering Aveda rituals, scalp neck and shoulder massages and a hot towel treatment. 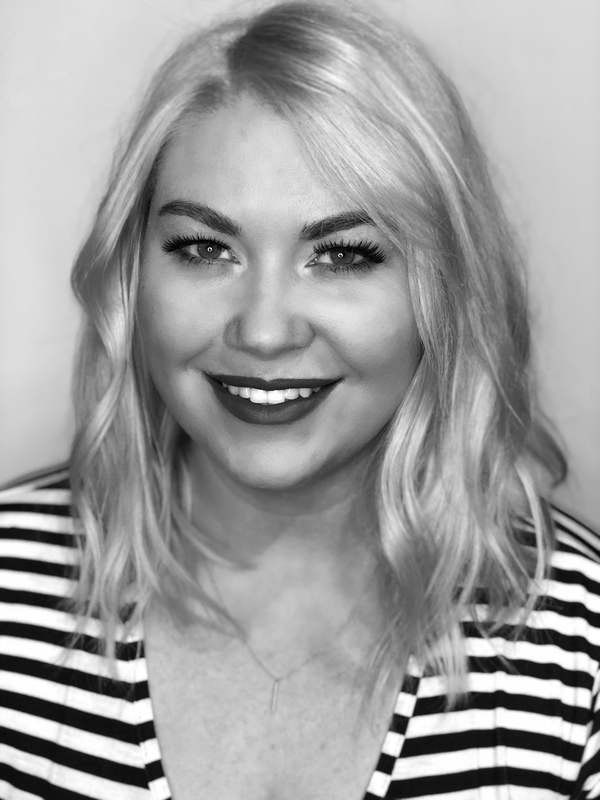 Kelsey takes the time to listen to every consultation and makes sure her guests are requesting something that is achievable, up-to-date, and will not effect the integrity of their hair. She loves looking at images with guests and figuring out the gameplan to get you there. She takes the time to teach curling iron techniques as she styles, and if the guest desires, she will go over it every visit to ensure they learn! Kelsey loves both women and men’s cuts and specializes in weight removal and texturizing. As for color, Kelsey specializes in lived in color, balayage, ombré and fashion colors. Whether it can take place that day or over a series of appointments, Kelsey will set you up for success and a lovely experience!